ABU DHABI, 29th July, 2018 (WAM) -- Ticket sales for one of the most eagerly-anticipated spectacles in world football - the AFC Asian Cup UAE 2019 - will go live tomorrow at 12 noon on the-afc.com. After a record-setting group stage performance by Asian teams at the 2018 FIFA World Cup Russia , the eyes of the football world now turn towards the UAE from January 5th through February 1st, 2019. The expanded competition, which is set to welcome an unprecedented 24 teams – eight more than the previous 2015 edition – will take place across eight world-class stadiums in Abu Dhabi, Al Ain, Dubai and Sharjah, and promises to engage more fans than ever before in the biggest sporting event ever hosted in the region. Asian Football Confederation (AFC) President Sheikh Salman Ebrahim Al Khalifa said: “The AFC ‘s Vision and Mission outlined our ambitions to provide world-class platforms for our teams, players and passionate fans. “The launch of ticket sales is an important milestone and the UAE is the perfect host nation to unite the Asian football family. 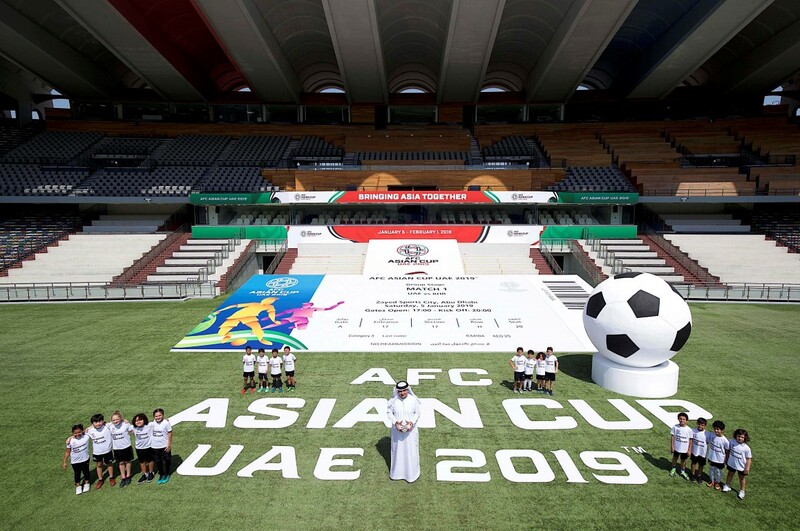 I am confident that the AFC Asian Cup UAE 2019 will provide the ultimate stage to showcase Asia’s remarkable talent and engage and excite more fans than ever before. Ticket prices for the competition have been set to allow as many people as possible—from the millions of Asians already residing in the UAE to the 2 billion living within a four-hour flight—to come and experience the thrill of top-class, live international football. Speaking on the launch of tickets for the AFC Asian Cup UAE 2019, Vice Chairman of the Higher Local Organising Committee, Mohammed Khalfan Al Romaithi said: “The UAE is honoured to be hosting the most-expansive, most-inclusive AFC Asian Cup in history. More teams promise more goals, more action and more drama, and we are confident that our long pedigree of hosting world-class sporting events has prepared us to offer an unsurpassed fan experience for football fans and first-timers alike. 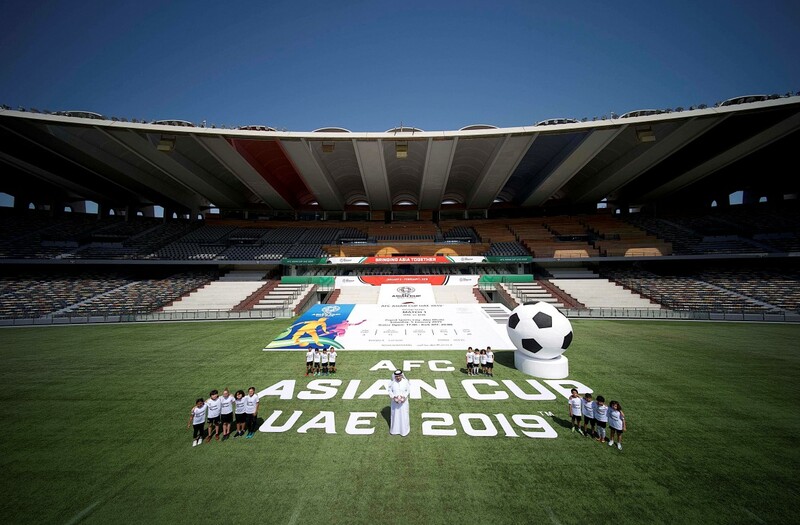 As part of the exciting build-up to ticket sales, a special launch event saw Aref Hamad Al Awani, Tournament Director of the Local Organising Committee and children from across the UAE enjoy a once-in-a-lifetime opportunity to play at the iconic Zayed Sports City Stadium, where the opener and final of the AFC Asian Cup UAE 2019 will be staged. The event demonstrated the unprecedented scale of the tournament as children held each other’s arm representing the cause of this edition, against a backdrop of a giant ticket, symbolising the sheer scale of the tournament that is coming to the Emirates.